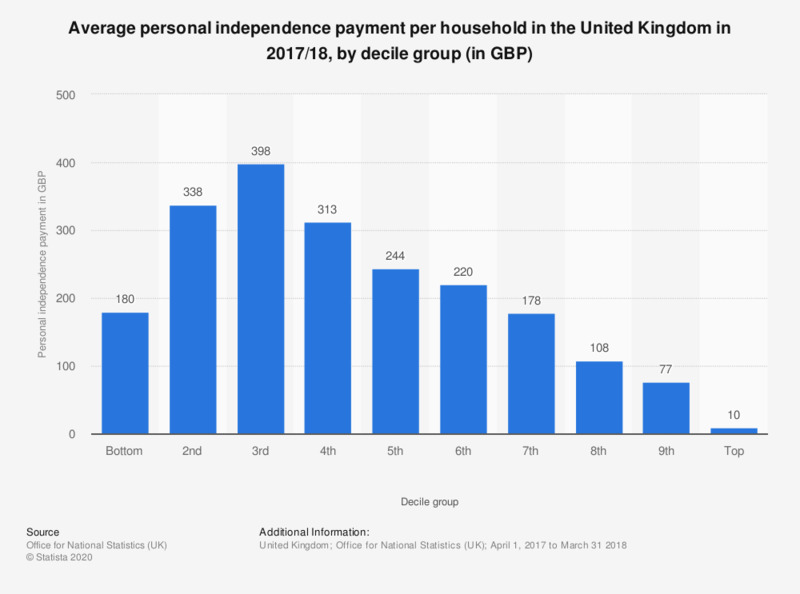 This statistic displays the average personal independence payment per household in the United Kingdom (UK) in 2017/18, by decile group. Households in the third decile received, on average, 398 British pounds in personal independence payments. This was the highest income received from personal independence payments of any decile group.